Annual incitement index presented to the government shows incitement has increased during peace talks. For over two hours, the Cabinet, at its weekly meeting Sunday, discussed incitement and the culture of hatred in the PA.
A Government Press Office (GPO) release said that Intelligence Affairs Minister Dr. Yuval Steinitz and the Director General of his ministry, Brig.-Gen. (ret.) Yossi Kuperwasser, presented the annual "Palestinian Incitement Index" that includes new findings from the recent months, during which diplomatic negotiations have been conducted. The findings show that incitement against Israel and the Jewish people is continuing on official media channels including – inter alia – by bodies that are very close to the PA Chairman and in educational and religious networks. The findings also show that during the period of negotiations between Israel and the Palestinians, not only did incitement not lessen, in certain areas it even increased, and that recently, the use of prominent Nazi elements – such as the image of Hitler – has also increased. 4. In principle, all forms of struggle, including terrorism, are legitimate in order to realize the final goal. 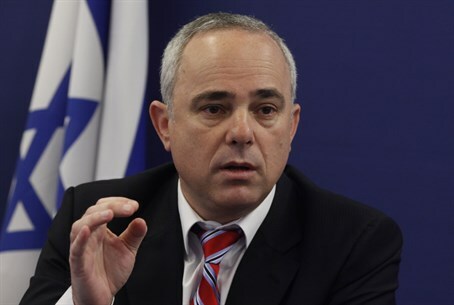 Minister Yuval Steinitz said, "We must not ignore the fact that the Palestinian educational system and media, under the patronage of Abu Mazen and during the negotiations, are educating and inciting – on a daily basis – for the destruction of the State of Israel." Prime Minister Binyamin Netanyahu added, "This is a very severe phenomenon. True peace cannot exist without stopping the incitement against Israel, and educating for peace. The refusal of the Palestinians to recognize Israel as the state of the Jewish People and declare the end of national demands – this is the root of the conflict. This is also the reason why we are insisting on significant security measures, so that we will be able to defend ourselves by ourselves in any situation."